I’ve been reading My Book of Flowers by Princess Grace of Monaco (Grace Kelly) this past week. 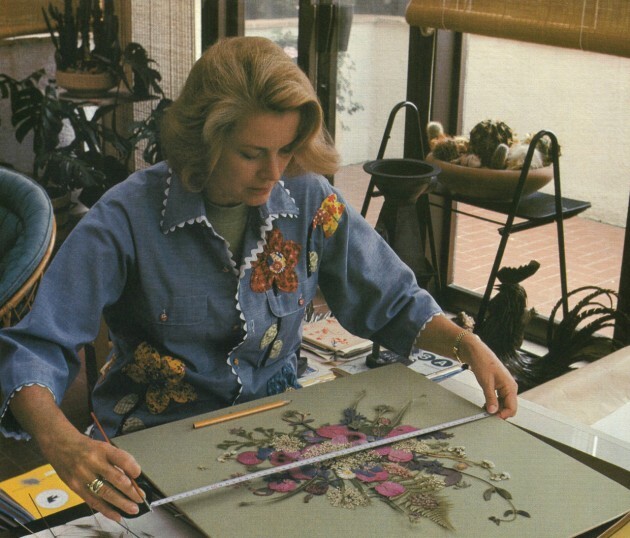 I’ve been fascinated to learn about this creative outlet for Grace Kelly, which I imagine gave her much satisfaction since many of her early expressions of creativity (as an actress) were put aside after she married Prince Rainier of Monaco in 1956. This book was published in 1980, just two years before Grace Kelly was in a fatal car accident in September 1982. 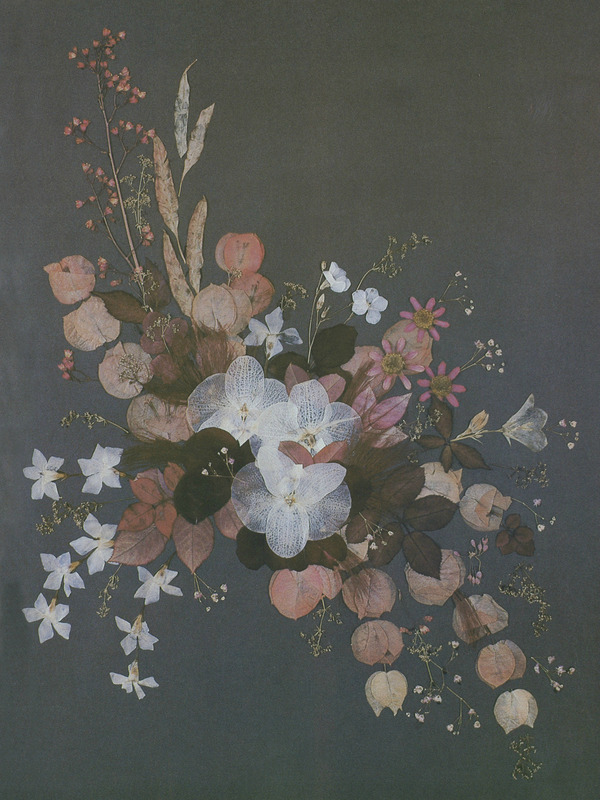 Grace Kelly, pressed flowers in a geometric pattern with protea leaves, periwinkle, viola, daisies, and a yellow daffodil, n.d.
Grace Kelly, flower collage with white phalaenopsis orchids from Ceylon, bougainvillaea and periwinkle, n.d.
Grace Kelly, pressed collage from a branch of jasmine, prunus leaves, and pale davidii leaves known as “the handkerchief tree,” n.d.
Grace Kelly, pressed collage “to capture the mood of a summer’s day” with poppies, buttercups, and wild grasses, n.d.
Grace Kelly, pressed collage like a Provençal print or a Liberty fabric, n.d.
Grace Kelly, pressed collage with a reconstructed red rose and hydrangea flower from California, with pink pelargoniums from Spain, n.d. I particularly like this last collage by Kelly because the dark background reminds me of the paper flower collages that Mary Delany created in the 18th century (such as this one of the passionflower). 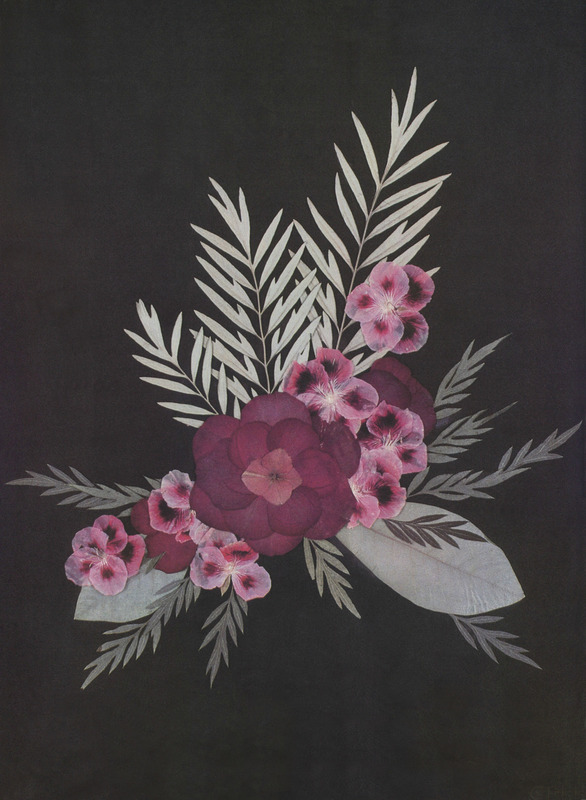 Delany’s collages (which she called “paper-mosaicks”) were made from hundreds of pieces of tissue paper that were carefully cut and layered (and occasionally were touched-up with watercolor). Mary Delany’s collection of work is located at the British Museum. 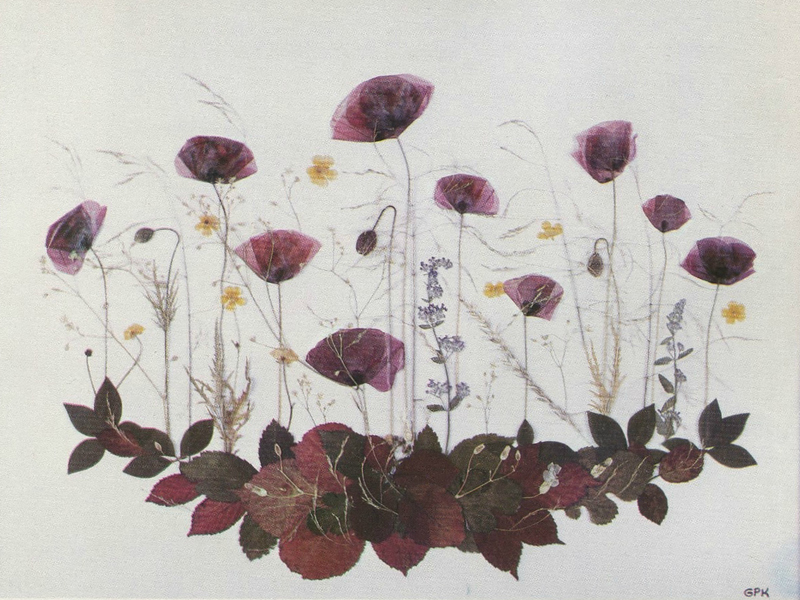 Grace Kelly discusses Mary Delany’s work at length in My Book of Flowers, so I think it is very likely that Kelly had Delany’s work in mind for this particular collage.3 Perhaps Kelly even thought that her “reconstructed red rose” (made from separately-dried flower petals) was similar to Delany’s process in constructing flowers out of cut pieces of paper. 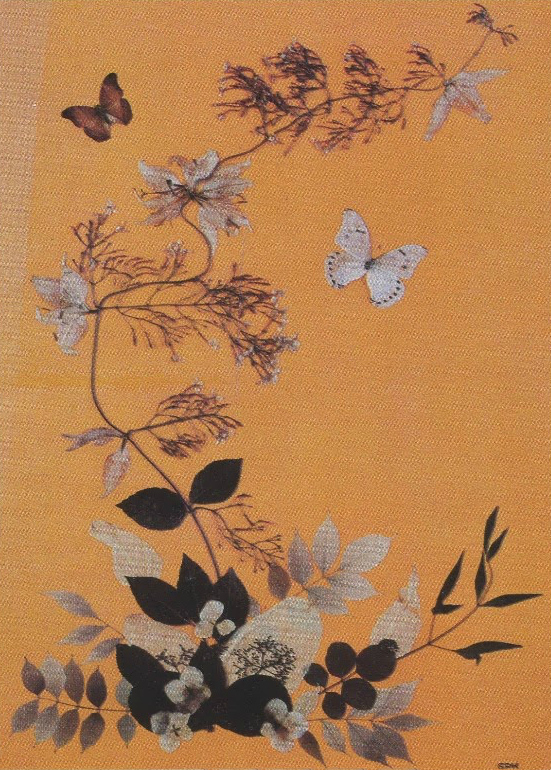 It makes sense to me that Grace Kelly would be interested in creating pressed flower collages, not only as a creative exercise, but from a historical standpoint. 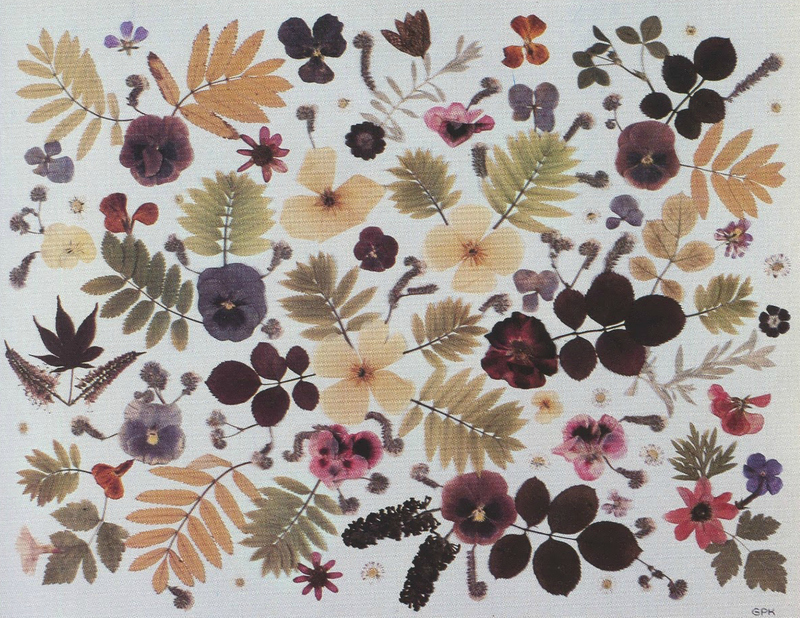 Pressed flower collages historically have been associated with restraint and decorum, which are two things that I associate with Grace Kelly (both as an actress and a princess). For one thing, creating flower collages was popular among women during the Victorian era (the age of decorum and restraint!). 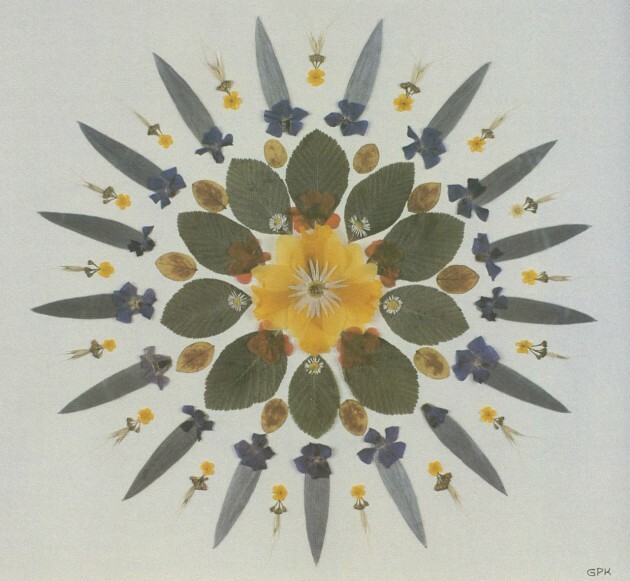 And, in a ironic way, this restraint and decorum is also associated with the true origin of pressed-flower making, known as the art of Oshibana in Japan. This form of art began in the 16th century, allegedly was created by Samurai warriors as a way to practice patience, restraint, and concentration, as well as harmony with nature. 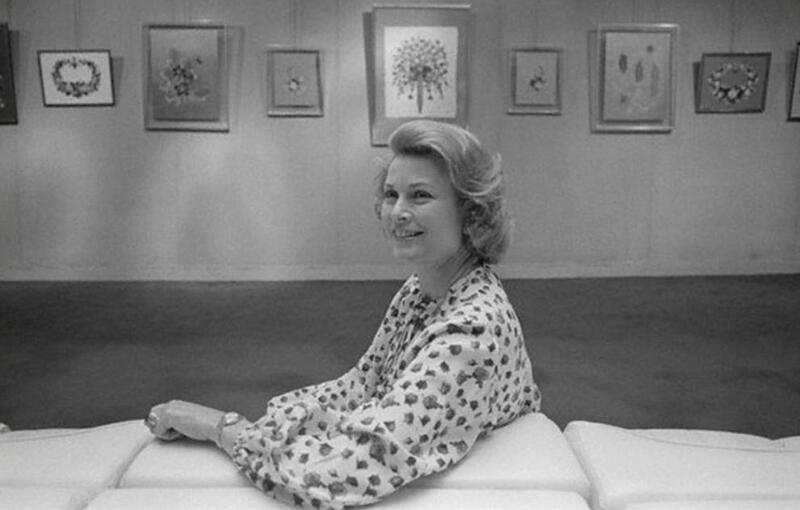 1 Princess Grace of Monaco with Gwen Robyns, My Book of Flowers (Garden City, New York: Doubleday & Company, Inc., 1980), 47. 3 See discussion of Mary Delany on Ibid., p. 144-147.